Cute to some, while horrifying to others mice do not appear to be especially threatening. Nevertheless, do not underestimate the damage and the threat these unwanted pests can cause in your home. With the fall season upon us, mice and other pests will be seeking alternate food sources inside structures, such as your home. 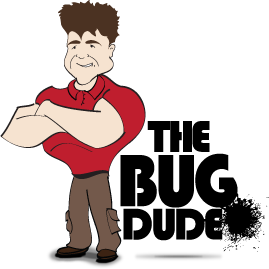 The Bug Dude is ready to take your call for professional pest control in Fort Worth. You can rely on our knowledgeable specialists for pest control services. When mice seek food in your home, not only can they spoil it with their droppings and urine, but can transmit dangerous bacteria, to countertops and food preparation areas, and can contaminate food by chewing through its packaging. Maintaining a clean home, and routine pest control in Fort Worth will help to ensure a pest free home. In addition, mice are a significant threat to your home’s structural integrity. They destroy insulation, and can chew through wallboards, cardboard, wood, and electrical wiring. In fact, rodents are the cause of an estimated 25 percent of house fires in the United States every year. Do not take the risk if your home has mice. Contact us for professional pest control in Fort Worth. Good sanitation practices are one means of keeping mice out of your home successfully. Keep counters clean and free of clutter; eliminate clutter throughout the home, and routinely collect and empty garbage, and trash. In addition, be sure that all garbage receptacles indoors and out, have tight-fitting covers. Preventative action is the best means for ensuring your home remains rodent-free. Mice are opportunists that will look for a way inside a structure in search of food, water, and shelter, and during the fall and winter, you can count on mice searching for a way into your home. The following tips, and professional pest control in Fort Worth will assist you in taking preventative action against mice. Seal cracks, gaps and holes on the outside of your home. Possible routes of entry include areas where utilities lines, cables, and pipes enter the home. This includes high points as mice can climb, and can jump up to 12 inches high, and can squeeze through the tiniest of openings. Replace loose mortar around the basement or crawlspace foundation, and seal cracks and gaps. Do not store firewood near your home, and use blocks or other to raise it above the ground high enough to see under. Keep shrubs and trees trimmed away from your home, cut the grass regularly, rake leaves, and remove debris piles in the yard. Controlling insects in the yard help to control mice populations. Contact the Bug Dude for professional pest control in Fort Worth. Inspect the weather stripping on the garage and exterior doors, and replace if necessary to eliminate gaps. Do not forget to check the screens on the dryer and other utility vents for tears or openings, and replace if necessary. Inspect the screens on windows, and ensure they fit tightly without gaps. Replace screen frames if they are warped, and screen wire or mesh if tears are present. Seal gaps around plumbing, wire, and cable entries on the inside of the home with caulking, expanding foam, or steel wool. Sealing cracks and holes in your home prevents mice and other pests from gaining access to your house. Mice eat up to twenty times per day, and look for a location with easy access to food. Accessing cabinets, (even the top ones) pose no difficulty for mice to find entry. Place food in plastic or glass containers with tight fitting lids to deter mice. This includes all packaged goods in cabinets and the pantry. This does not mean you have to open all the packaged food. Simply store packaged goods in tightly sealed plastic containers in the pantry. Cabinet size plastic containers can store your packaged goods, and can either lift out, or purchase tightly sealing plastic containers with hinged lids. Do not leave leftovers and vegetable parings, dirty pots and pans or dishes out until the next morning. To mice, this practice throws out a big welcome mat. Place food in a tightly sealing trash can, rinse off dishes and utensils to remove food residue (do not forget to run your garbage disposal), and store in a closed dishwasher until you are ready to run a cycle. Clean up food spills and dropped food. Remember, if mice are unable to obtain food, they will not hang around your home. If mice are infesting your home, contact us today to receive effective pest control in Fort Worth. Clean your closet and utilize plastic totes rather than boxes to keep mice and other pests away. Drawers anywhere in the home are favorite nesting spots for mice. Clean drawers routinely and store seldom used items in zip style bags, or vacuum seal bags. This will prevent mice from defecating and urinating on your little used clothing. Scheduling routine pest control in Fort Worth is an essential part of good housekeeping practice to deter mice and other pests. Our professionals are trained and knowledgeable in evaluating your property and identifying your home’s specific pest control needs. Contact The Bug Dude today for effective pest control in Fort Worth, Dallas, and the surrounding areas.